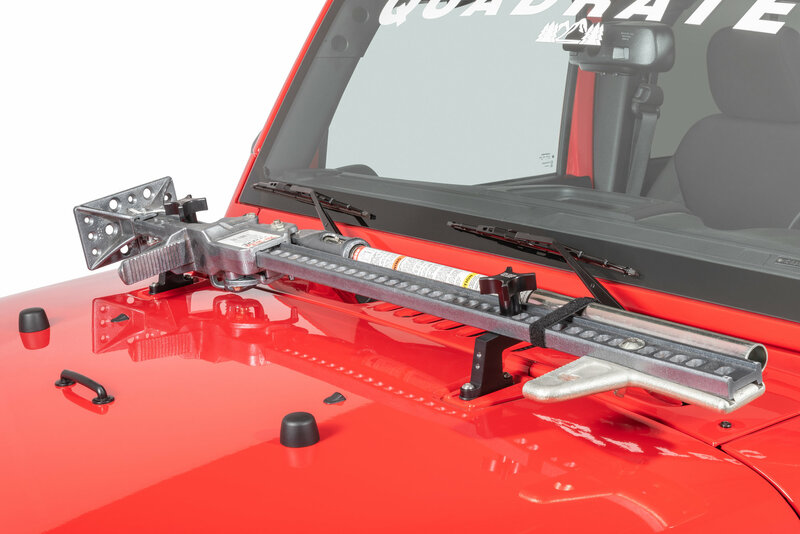 Trail gear is very important when going off-road with your Wrangler JK or Wrangler JL. A Hi-Lift Jack is a key piece of equipment to bring with you on your next adventure. One problem people come across is where to put it, but lucky for you HI-Lift has you covered with their Hood Mount. 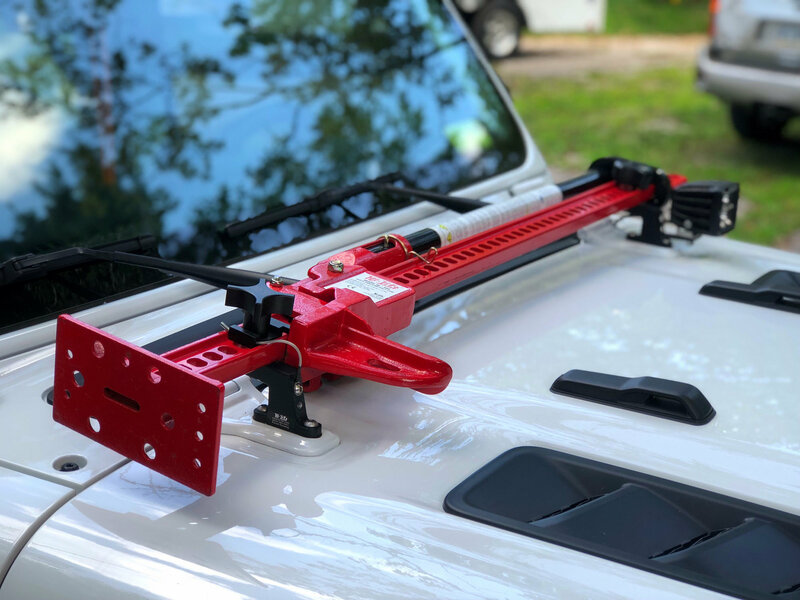 Made from aluminum for strength this low profile mount keeps your jack out of your sight line and still allows for normal use of the windshield fluid nozzles. Optional locking knob is a great add-on for this hood mount to keep your jack safe from theft while the optional light tabs give you additional light mounting points. 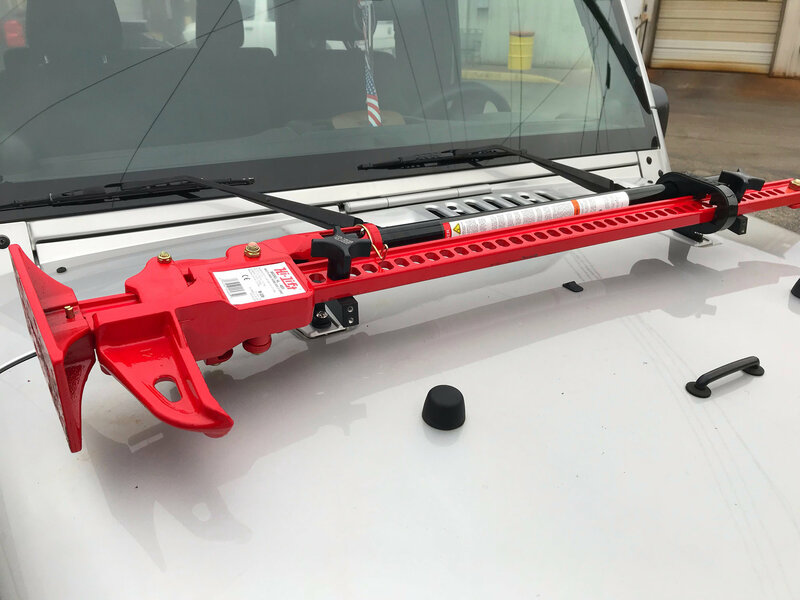 Construction: Made from 6061-T6 structural aluminum giving you a strong mount to hold your Hi-Lift jack to the hood of you Jeep. Design: A low profile design that is out of the way keeping your jack safe, secure and rattle free even on the bumpiest of terrains. 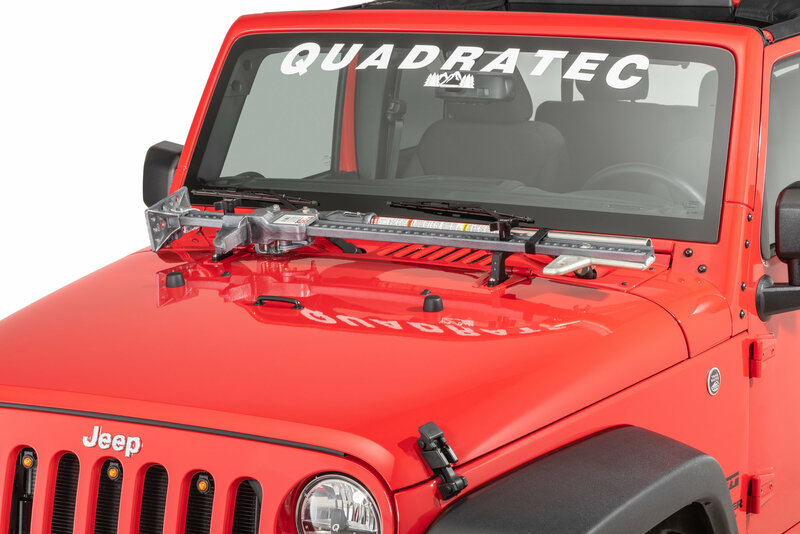 No need to relocate your Jeep's washer nozzles as this mount allows for normal use of them. Installation: No drilling into your hood is needed for these brackets. 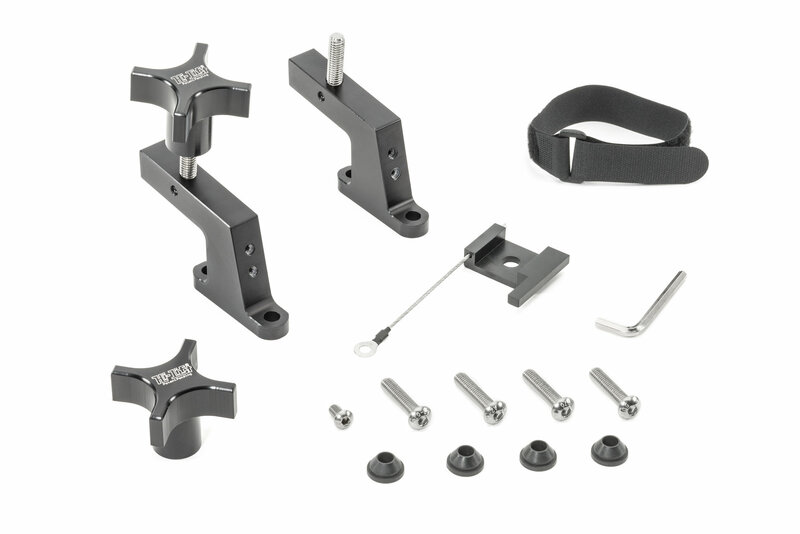 Just simply remove the existing hinge bolts and use the provided hardware making for a quick and simple installation.